The CAAAAKE (sing song voice)! 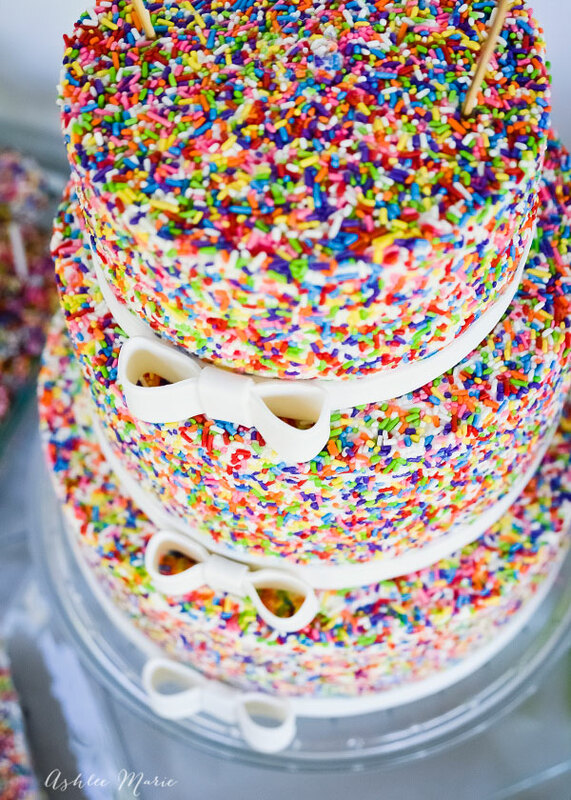 I knew I wanted to do a multi-tiered version of my rainbow sprinkle cake! It’s SOOO pretty. 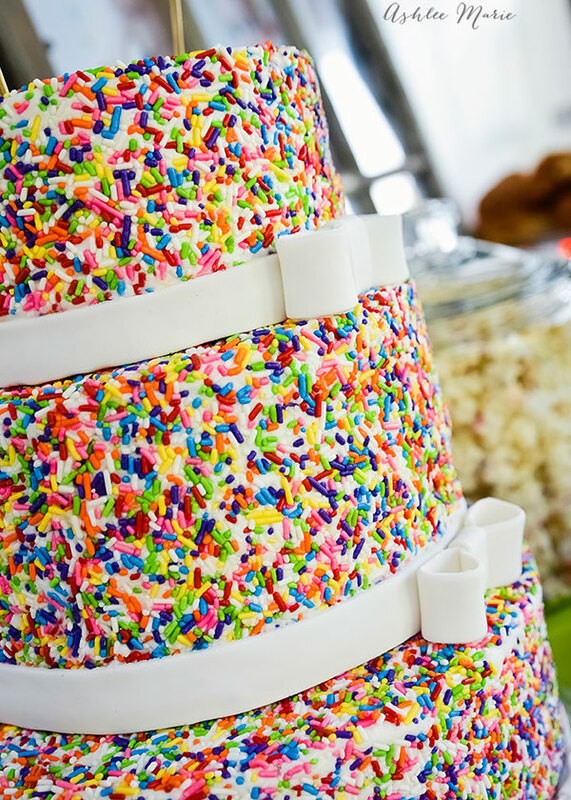 I was worried it would be TOO sprinkle-y, all those tiers covered top to bottom and stacked. So when I saw this Rainbow Jimmy cake on pinterest it was the perfect answer, break it up with some white fondant ribbon along the bottom of each tier. I debated doing a sprinkled number 1 on the top again, but I ended up going with this washi tape bunting. I haven’t done bunting before, but I think it fits this cake great!. 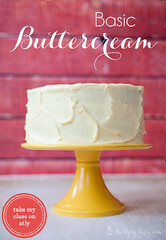 What would you like to see pressed on the sides of a buttercream cake? Favorite candy? M&M’s, Reeces Pieces? 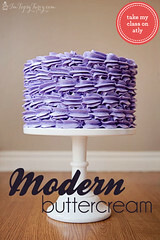 I’ve seen more and more of these cakes popping up on pinterest! We served the middle layer at the “friends” party, and the bottom layer at the “family” party. 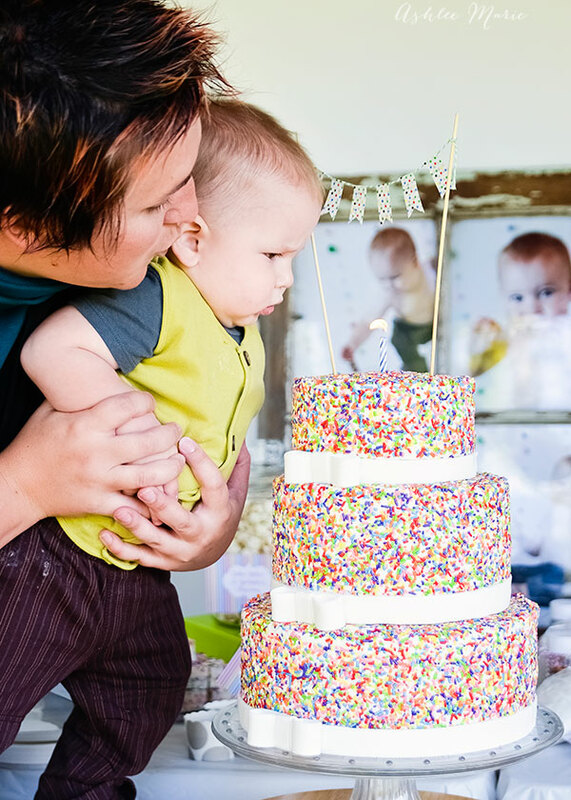 My kids were upset that they missed the cake smash, they loved the pictures of it. So at the family party we threw the baby and the top tier on a plastic tablecloth and let him have fun… Sadly he wasn’t too interested, which totally bummed out the kids and cousins, but we tried! Oh my goodness I LOVE how this cake turned out! Great job!! thank you so much! I’m totally in love with it too!!! 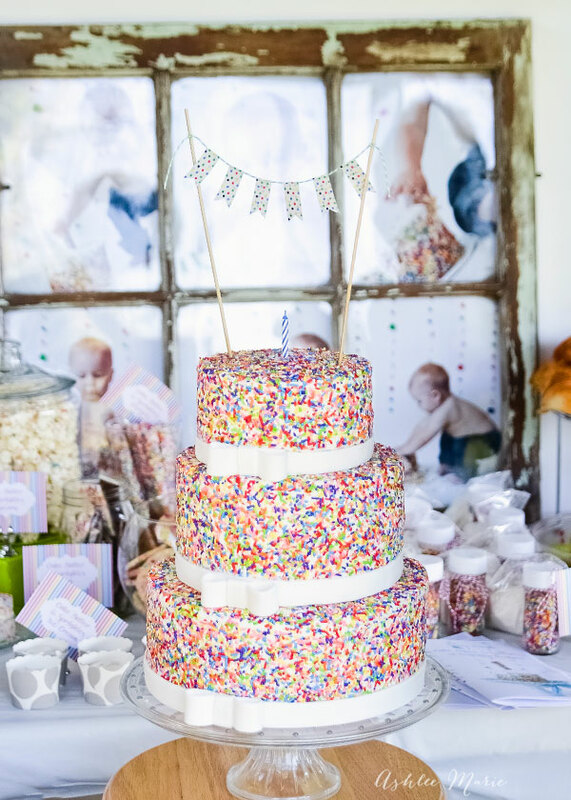 OH i love this im going to do for my Daughter for her Sprinkle Baby Shower. ( Maybe pastel colors) Think im going to do all but the Cake Batter & Sprinkles Marshmallow. So how many pounds of sprinkels o you need, Also planning on giving sprinkels out as a favor. I have to order evey thing on line cause where i live Got to have enough. I cant just run out and get. 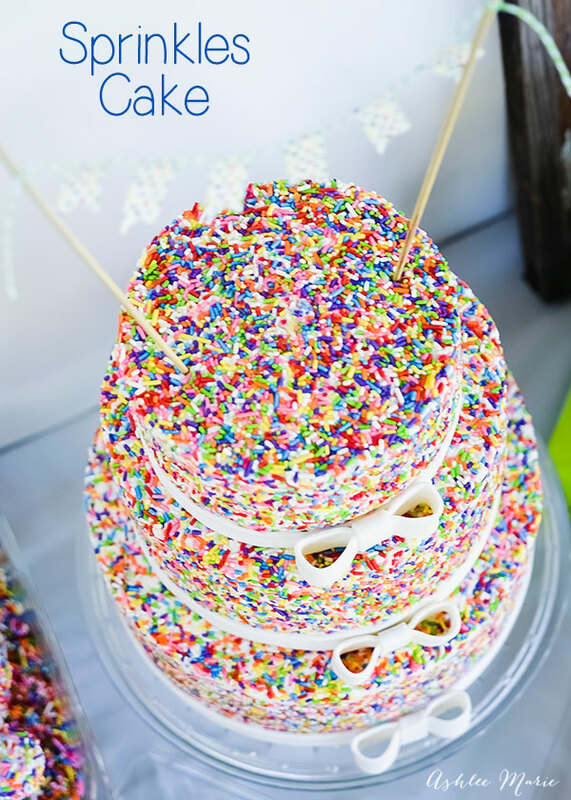 ohhh I love the idea of doing all pastel sprinkles! I bought one case of each color (2 of the white) and mixed it and that made about 9 lbs. I used it for all the recipes, the cake and the favors and i did run out by the end, but if you aren’t doing as many recipes or as big of a cake you’ll probably be okay. Gorgeous!! Love the sprinkles. So happy and fun! Thanks! Obviously we love sprinkles around here!! !